All I can say in my defence is that I blame DLI and his To Infinity and Beyond blog; he started making liftwood ships'n'things. And I'm nothing if not easily distracted. It's been one of my long-term plans to make some sort of Martian liftwood galley. You know, one of those "OK, I'll do it right after I finish painting these, and base those, and then after I have added some of them, and ..." long-term plans. Anyway, DLI's blog inspired me to drag it up my list of priorities. He's used balsa wood for the hull, which I probably wouldn't (I have neither the tools not the patience), but I find that seeing how someone else has done something always gives me ideas of how I might go about it. That's often because of a different set of skills or materials, and sometimes because I might want to achieve a different goal, but it's all good information. In fact that is why I often blog about how I build or convert stuff. It may be amateurish and you might not want to copy it, but it might just give you an idea about an alternative/related use for it, or trigger an idea for a better way to do something else, and good luck to you. I decided I'd make a screw galley for my first attempt - I might manage to figure out cloudship masts and rigging in another lifetime - and I picked the Hullcutter from the "Cloudships & Gunboats" book as a fairly simple(?) one. 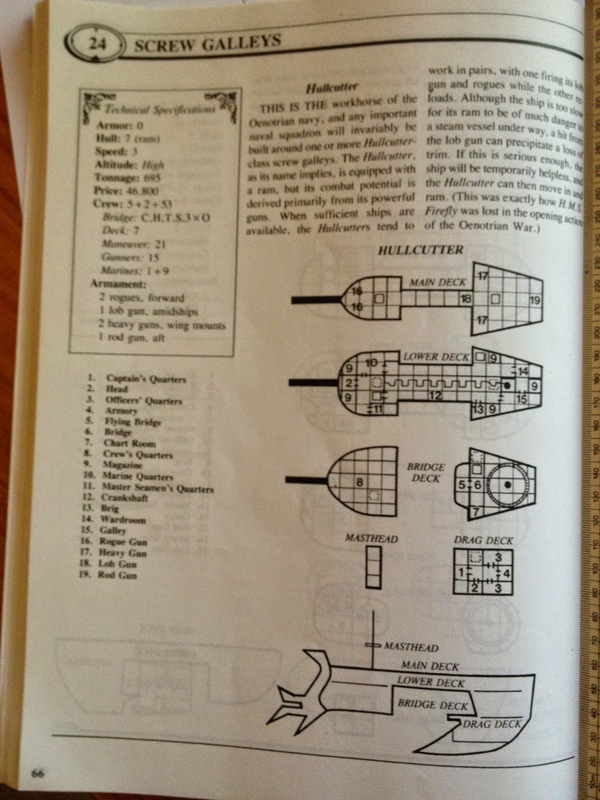 Next thing was to convert the deck plans. 18mm is about 6 feet in scale terms for my Peter Pig 15mm earthlings, so I fiddled with Word until I'd made a table with a 18mm grid. I then drew the Hullcutter decks onto copies of these grids. I could have gone for a 20mm grid, but that's bigger by another 10%, and the length (14 squares-and-a-wee-bit) wouldn't fit onto printed A4 paper. Providence therefore dictated 18mm squares for my first attempt. I also added some tabs towards of the rear of the lower deck to act as housings for the propellors. I know DLI had a few problems with getting these fitted, so forewarned is forearmed! 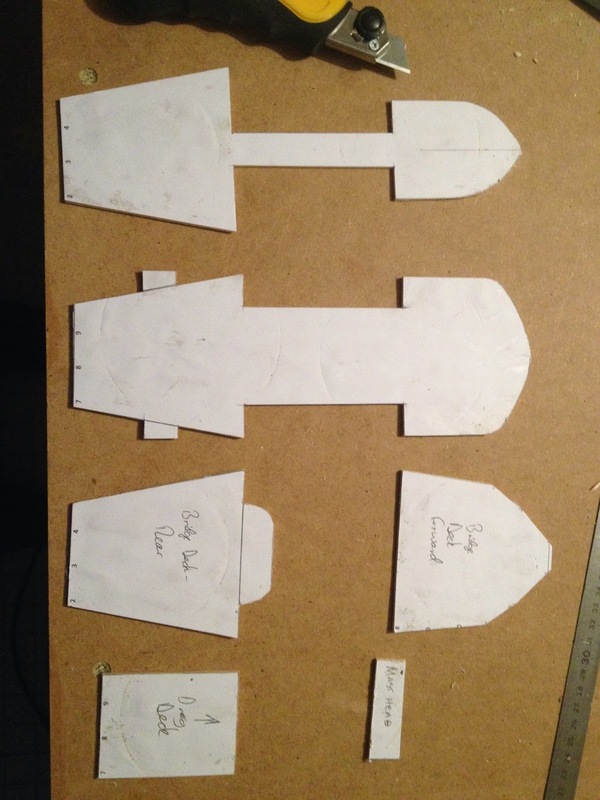 I then cut the deck shapes out and glued them to 2.5mm balsa wood that I had lying around. 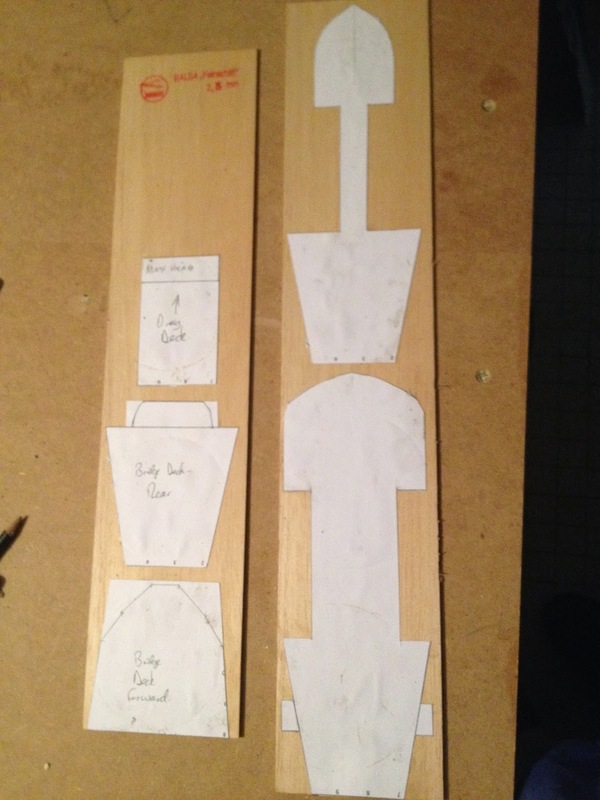 The next step was to carefully cut out the shapes on the balsa wood. I glued the Lower, Bridge and Drag decks to some offcuts of 30mm expanded polystyrene sheet, cut out slightly oversize with a hot wire cutter. The main deck I left for gluing at a later stage. I used white glue, which wasn't ideal due to the non-porous nature of polystyrene, but I scored it well (hopefully getting a better key for the glue), used lots of pressure and left it to dry well at each stage. Next time I might use a hot glue gun for a faster process! Foamboard might turn out to be a better option that expanded polystyrene, but I used what I had lying around. Next step is to glue the layers together, and the main deck goes on top of the sandwich. Same glueing process. I've left the drag deck off at this stage (this photo is with the glue only just on) so I can put some weight in top, but you can see it starting to take shape. That is the result so far, but it's time to sign off soon, and the glue needs to dry. 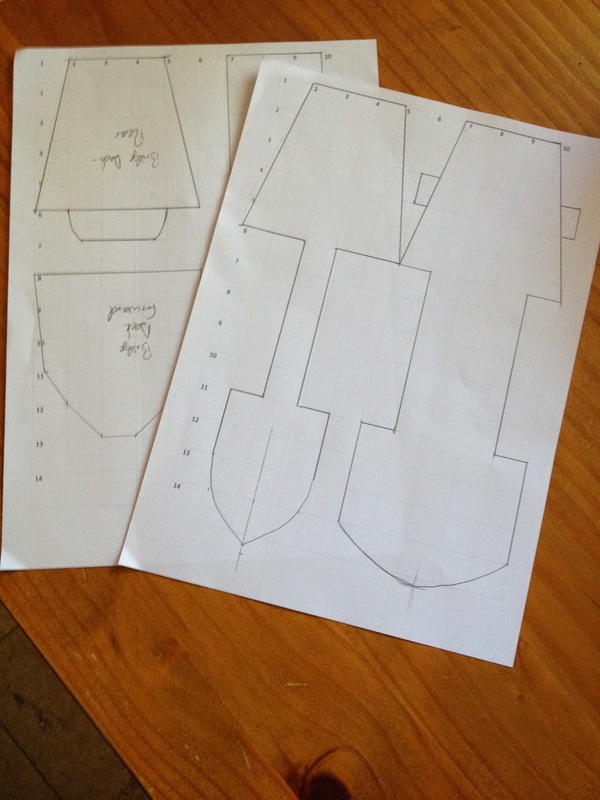 The next stage might well be the trickiest as I will start to shape the hull and keep it as symmetrical as possible; angling or curving from the lower deck up to the main deck. Ultimately you won't see a lip of polystyrene round the edge of the main deck, and having the balsa wood decks will ensure I don't take too much off. Well ... it's good to have a plan anyway. 1) I'll have to cover the polystyrene for greater durability and a better look. I might use thin balsa strips for that, like planking. Or I might get a life and just coat the sides with some water-based filler. 2) Ram and keel. The ram in particular will have to be fairly sturdy as it will undoubtedly take some bashing as the model keels over (no pun intended ). I'll probably use thicker balsa wood, or a sandwich of balsa wood and/or mounting board to get the right thickness. A composite of the two materials might be the best solution for strength too. 3) Propellor housings. No idea how I'll do these yet - à voir. 4) Flying stand. For that I'm thinking of using a slow hand-drill to make a hole up into in each of the forward and the rear parts of the hull. 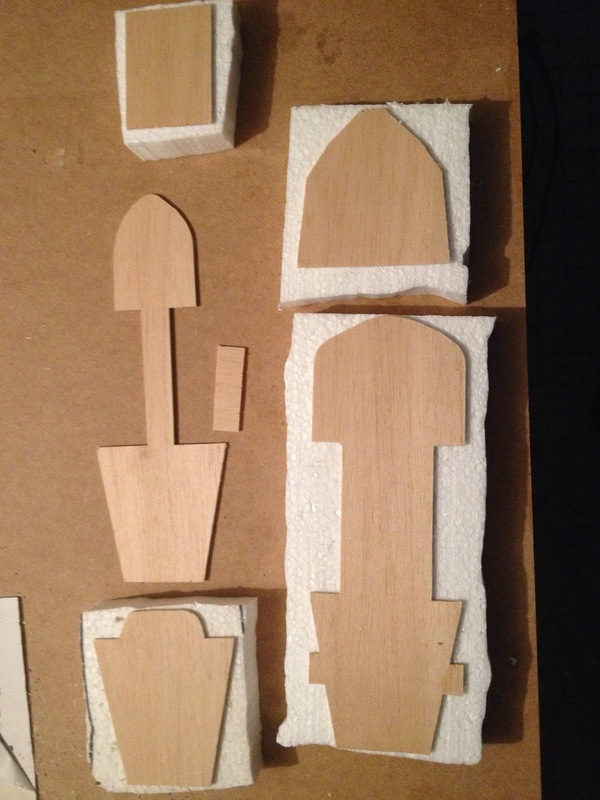 The internal balsa wood layers should give the holes a shape and solidity that expanded polystyrene alone wouldn't. Or I might just embed the flying stand in the ram and keel if I make them solid enough. 5) Handrails. I've ordered some wooden stanchions from a model boat supplier in the UK, and I'll wait and see how they look. Alternatively I could use cocktail sticks or barbecue skewers for the uprights. It will probably be more balsa strips for the handrail bits (and I may add some heavier footings for the stanchions too). 6) Guns! (Two heavies, two rogues and one lob gun to be precise.) I'll probably bug Rodrick Campbell over at Highlander Studios, as he's been teasing us with pictures of 15mm Martian artillery that are in the pipeline. But I'm happy with the start I've made. More to follow. Thanks and you'll read all about my (likely) problems with the foam right here! Good luck with getting that workbench cleared. The last picture of the ship, looks very solid. It's not as solid as I'd like, unfortunately. But I'm the kind of guy who believes that I have to be able to swing my own weight from a wall-mounted bookshelf to convince myself that it's fit for purpose! But the shape of the hull is really working for me. =) I have the same issues when I put up a bookshelf. Anyhow, I think you got a really smooth hull there. Interesting project! Great 'vessel' to recreate. I gave up on using polystyrene except for terrain (hills etc) quite a while ago. Would you consider replacing it a balsa with styrene sheets, you could build a skeleton frame and decks using thicker strong sheets and clad it using say 0.5mm sheets. Styrene drills, cuts, sands and glues easily. I hope you get this done it'll be great! 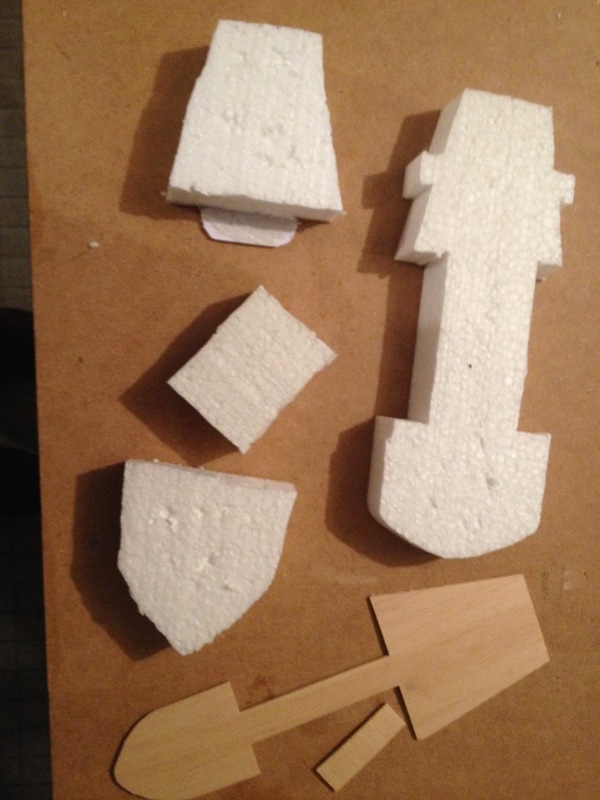 Anyway, I decided to use expanded polystyrene largely because I had lots lying around. For me it was an reasonably easy call using the construction method (with some updates in the Hullcutter II post), and the mix of materials gives it the rigidity that would have been missing using only expanded polystyrene. I didn't trust myself to get everything quite square using just balsa, and a skeleton frame sounds like a step beyond my meagre skills! However both have plus points, and would certainly keep the weight down, which was one of my biggest concerns. And the project will get done ... it's just "resting".